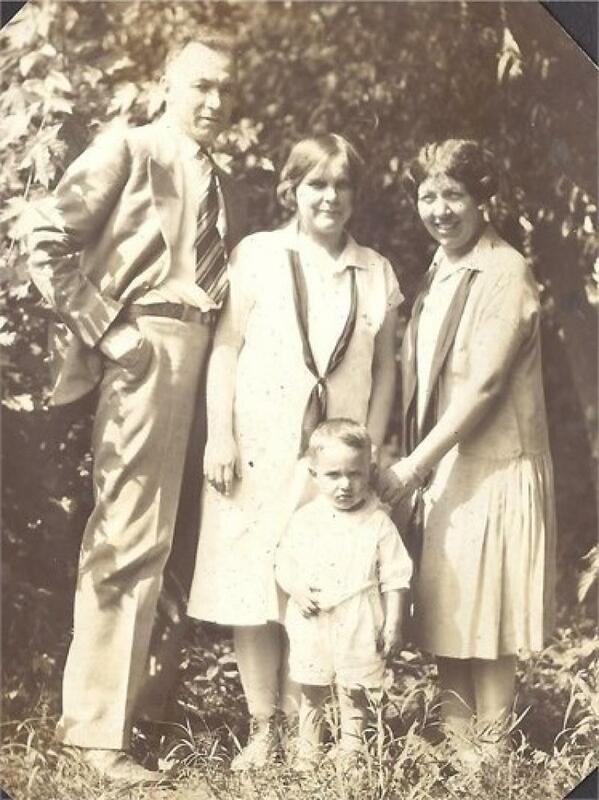 Comments: Mary Elizabeth Gnau (Nee: Gnau) | Ohio United States | 1921-1940 | Comments: I believe the woman on the far right is my grandmother, Mary Elizabeth Gnau and the little boy is my father, Jack Bobbitt (1925-1970). I`m wondering if the couple is Paul Joseph Gnau and his wife. I have no idea.